On February 19, 1963, Betty Goldstein Friedan ’42 published The Feminine Mystique. Inspired by a survey that she had conducted of her Smith classmates at their 15th reunion in 1957, The Feminine Mystique described, and came to symbolize, the frustrations of a generation of housewives who failed to find satisfaction for their ambitions in a socially idealized role as mother and homemaker. Fifty years after its publication, the book throws a revealing light on the mothers and daughters of its decade. My mother, for example, was Friedan’s contemporary. The daughter of Ukrainian immigrants who had little formal education, she went to Hunter College in New York City. A free public college for women, Hunter gave many young women like my mother, from poor immigrant families, the opportunity for a college education. She became a nurse and joined the army, where she met my father, and left the workforce to make a home and raise a family. She’s never read The Feminine Mystique; if she did, she would have little sympathy for it. She felt strongly her vocation as wife and mother, even as she was proud of my career. Women my age—now in their 60s—tend to have mothers who often made the choices my mother did. But coming of age in the feminist revolution, we faced a different range of possibilities, and far greater cultural support for our ambitions. The Feminine Mystique helped affirm those ambitions; it helped us imagine our mothers’ lives differently and break their pattern. The Feminine Mystique was important to the women of my mother’s generation in its anatomy of their discontent; it was equally important to their daughters in helping them imagine lives different from those of their mothers. Our lives were hardly free of dilemmas, as we tried to combine career and family in workplaces that could have, as we now say, both sticky floors and glass ceilings, but they took different forms from those Friedan described. I found myself thinking about mothers and daughters when reflecting on a recent gift to the college. Jane Lakes Harman ’66, former congresswoman, now CEO of the Woodrow Wilson International Center for Scholars, gave the gift of a writer-in-residence in honor of her mother, Lucille Geier Lakes. The daughter of immigrants, Lucille Geier also went to Hunter College like my own mother, and worked—for the OSS—during the war, but after she married, she left the workforce, limiting her ambition to part-time freelance writing for women’s magazines. Jane gave the Lucille Geier Lakes Writer-in-Residence to honor not only her mother’s love for writing but the career as a full-time writer that she wanted but did not have. Jane speaks movingly of the ways in which her mother would have been gratified by a career with the scope and ambition of her own; it gives Jane’s success powerful resonance, a resonance amplified by the fact that her mother seems to have passed the writing gene to Jane’s daughter, Justine, who works for Elle magazine, and to a great-granddaughter, whom family members call Little Lucy. The gift represents this continuity and honors it—the aspiration to a life of writing. 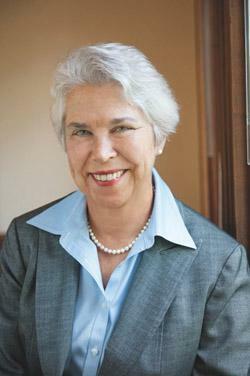 In 2003, when Rochelle (Shelly) Braff Lazarus ’68 gave a generous gift in support of the Campus Center, she, like Jane, chose to honor her mother. At the dedication ceremony, Shelly talked about the Ada Comstock Scholars Program as one her mother would have loved, acknowledging that “she didn’t finish college because she raised me.” Shelly, former chairman and CEO of Ogilvy & Mather, is one of the most admired women in advertising and a role model for businesswomen everywhere. Like Jane, Shelly wanted to honor the ambitions her mother did not get to satisfy. Both mothers nurtured those ambitions in their daughters, who, at another historical moment, succeeded brilliantly in realizing them. Women like Jane, Shelly and me—of the ’60s, in our 60s—often have shared experiences as daughters of mothers contemporary with Betty Friedan. Our mothers made choices, whether happily or not, to devote themselves to home and family. 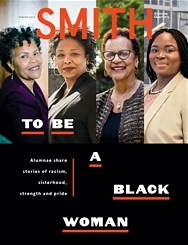 Smith has given me moving insight into these connections among generations, among family members and across societal divides—connections central to Smith’s mission as a women’s college. Sophia Smith gave her fortune to found a college to give women the educational opportunities she herself never had. Our campaign seeks to support and celebrate “women for the world,” a phrase with which the Friedan-era mothers might not have identified, even as they raised daughters who sought lives much more expansive than their own. As we support our daughters’—and our granddaughters’—aspirations, we also honor the energy of those aspirations in our mothers’ and grandmothers’ lives.